It doesn't get any better than Laura's Original Creole Pralines, featuring Louisiana cane sugar, Louisiana Mammoth Pecans, and vanilla. Cooked in our 100-year old copper pots in our French Quarter kitchen, these southern confections are the epitome of Old New Orleans flavor. Laura's Original Creole Pralines have a crispier and crunchier texture than our creamy pralines! The south's most famous confection, the Praline, has been cooked in Laura's Candies French Quarter kitchen for over 100 years. 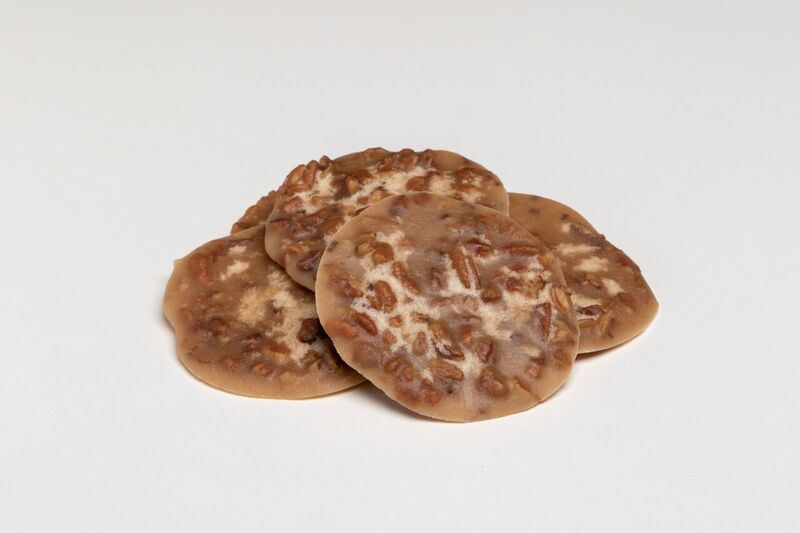 Laura's pralines are so creamy they will melt in your mouth! Here at Laura's Candies, we use only the finest ingredients to make our pralines. We ship our Original Creole Pralines world-wide to those who just can't get enough of these special New Orleans treats!